group of syndromes with vastly divergent symptoms but all involving episodic abnormal electrical activity in the brain .Such a large number of people continue to have seizures despite treatment . 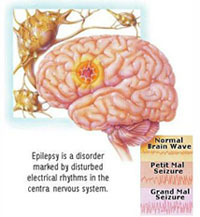 For people with difficulty to control seizures, it is imperative to have access to a Comprehensive Epilepsy Center . Vagus nerve stimulation (VNS) in humans refers generally to stimulation of the left vagus nerve at the cervical level using the Neuro Cybernetic Prosthesis . 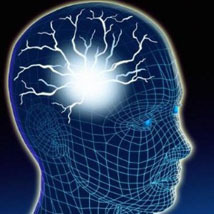 Vagus nerve stimulation is an effective, safe, and well-tolerated treatment in patients with long-standing, refractory partial-onset seizures, and may also be beneficial in other types of seizures. Gamma Knife allows noninvasive cerebral surgery to be performed in one session and with extreme precision, sparing tissues adjacent to the target. Gamma Knife surgery represents a major advance in brain surgery, and in the last decade has changed the landscape within the field of neurosurgery. Its development has enhanced neurosurgical treatments offered to patients with brain tumors , vascular malformations and brain dysfunctions by providing a safe, accurate and reliable treatment option.